Pianist Jamie Namkung performs a solo piano recital in the 2016/2017 season of the Haller Lake Music Series. Since her solo debut recital at the age of 11, pianist Jamie Namkung has achieved public recognition through concert appearances at distinguished summer festivals, including the Aria International Summer Academy and Banff International Piano Festival. She also participated and won awards at several national competitions, including the 2007 Young Artist International Piano Competition in Washington D.C., Samick, Teenager, Music Journal, and the Korea Times National Competitions in her native Korea. An advocate of chamber music and a collaborative pianist in high demand, Jamie has appeared live on Classical KING FM 98.1 and American Public Media’s Performance Today, and frequently collaborated with former and current members of the Chicago and Seattle Symphony Orchestras, Seattle Opera, and the Pacific Northwest Ballet orchestra. Dedicated to music education, Jamie has also built a diverse teaching career at such institutions as the Park School of Baltimore and Harper College. 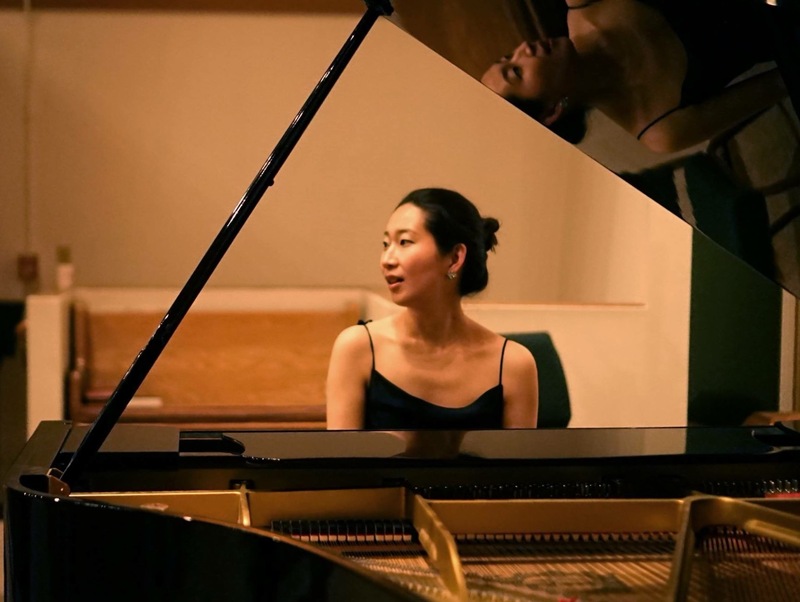 She served as staff pianist and coach for the cello department at Peabody Preparatory of the Johns Hopkins University, and during the 2013-2014 academic year led the piano department as Visiting Assistant Professor of Piano at Northeastern Illinois University in Chicago. Jamie received a Bachelor of Music in piano performance from Oberlin Conservatory and a Master of Music from Peabody Institute of the Johns Hopkins University under the tutelage of Angela Cheng and Boris Slutsky, respectively. She also earned a Doctor of Musical Arts from Northwestern University where she held graduate assistantships in teaching and accompanying as a student of Alan Chow. Additionally, Jamie has participated in masterclasses of many renowned musicians, including Julian Martin, Stephen Hough, Yefim Bronfman, Marc Durand, Antonio Pompa-baldi, and Menahem Pressler. She currently maintains a private studio in Seattle, and serves as teaching artist at Seattle Opera and as staff pianist at Seattle University where she was a recipient of the Pigott Family Endowment for the Arts in 2015-2016.